Country style décor has come a long way over the years, adapting and conforming to fit with the ever-changing design landscape of today’s modern world. But regardless of how contemporary styles can get, there’s always room for country. 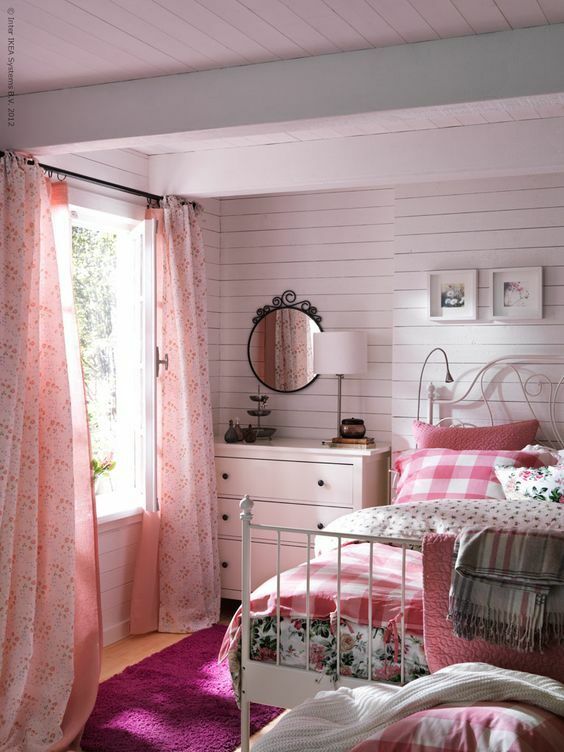 The soft textures and comforting patterns of gingham and stripes make the perfect touch in a bedroom. 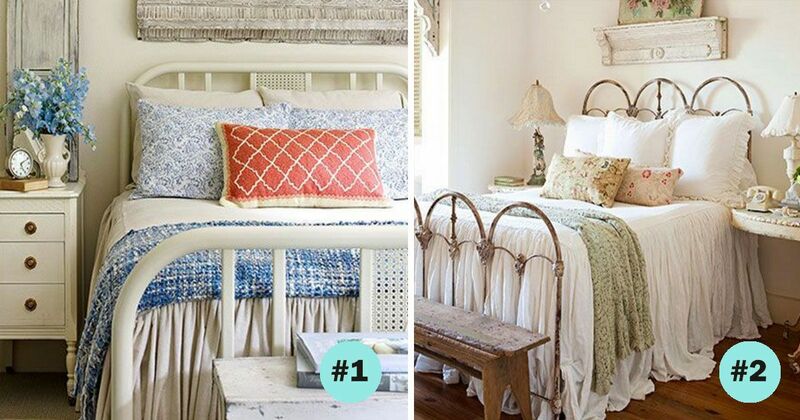 Check out these 10 breathtaking country-style bedrooms for your own design inspiration! There’s something to be said about simplicity. 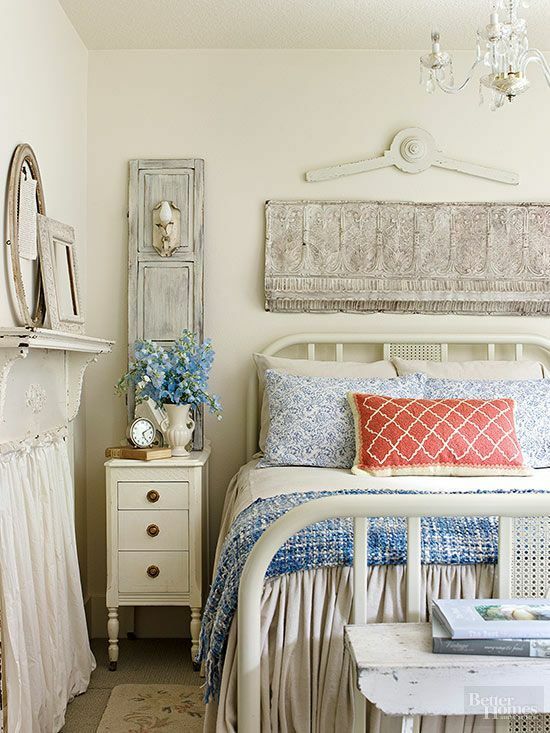 By keeping within the realm of a monotone pallet, this bedroom achieves an airy, country look. The accessories are minimal to maintain the lightweight ambiance. Country style is known for its patterns of plaid, gingham, stripes and flowers. But you don’t have to go overboard with them. A subtle hint of florals can do the trick, and the pop of dark colors in the wood and lighting help to ground the space. Here we see another soft, monotone pallet. 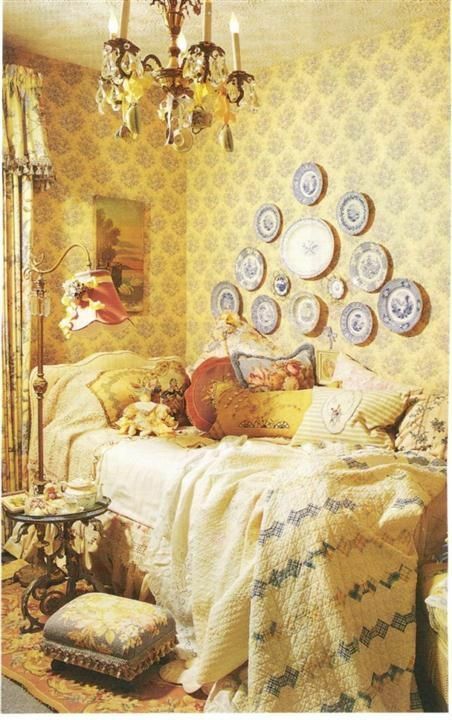 But the subtle use of plush textures and hints of lace complement the addition of antique accessories. Country style doesn’t have to be all soft colors and subtle florals. 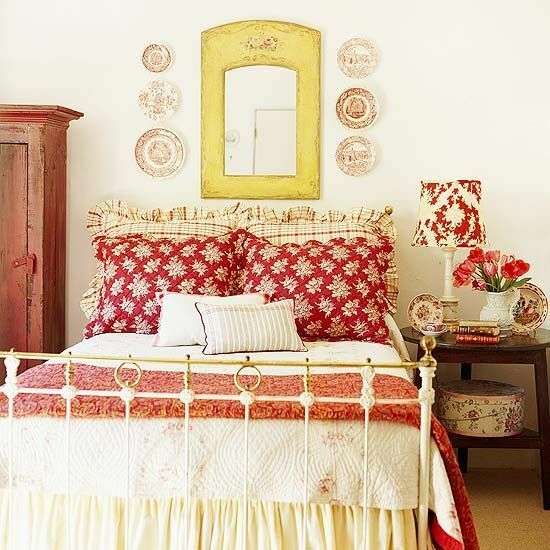 This sunny, old-fashioned cottage bedroom is the prime example of that. The use of painted wallboards and the addition of prints in gingham and floral shows how you can have a country look in a modern setting. Jane Austen fans, rejoice! 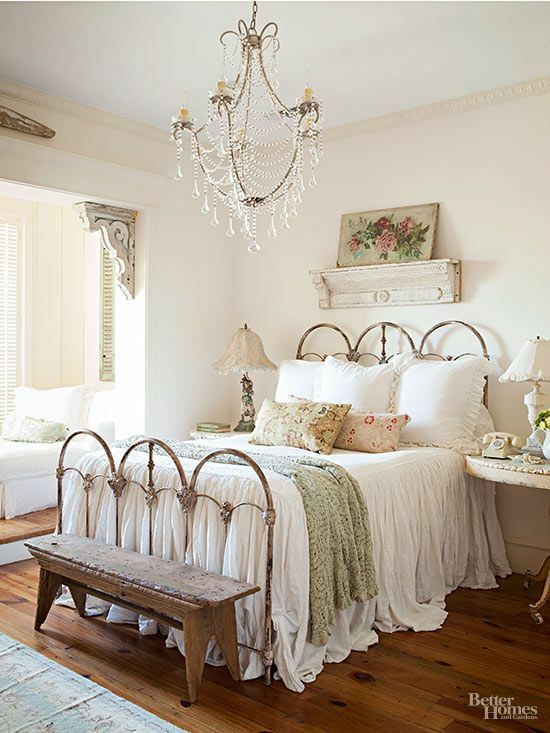 This gorgeous and elegant country bedroom can easily be replicated by using distressed woods, muted floral patterns and fabrics that gather and drape. The use of complementary colors like blue and coral make this country bedroom really pop with life. This an example of a monotone pallet using a bold color. It creates the ambiance of warmth and comfort. 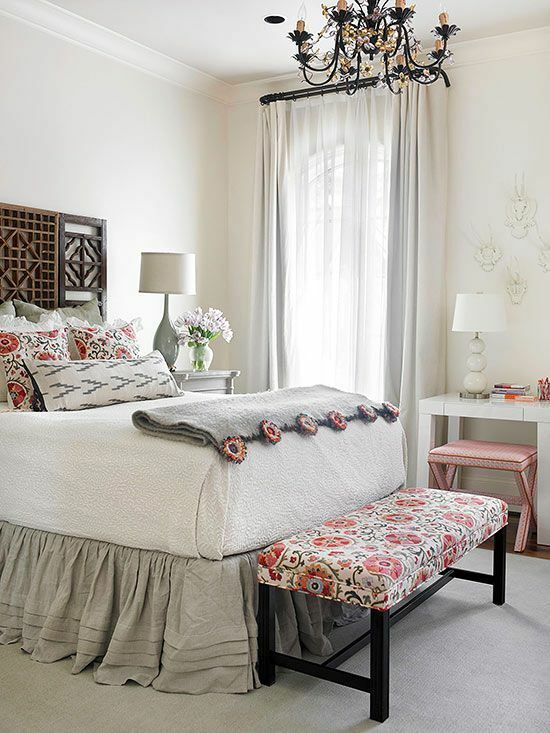 The use of florals and plaids slides this bedroom into country style. Country style can easily be depicted by the use of its signature prints: plaid, gingham, stripes and florals. But it’s also known for certain color tones, as well — blues especially. 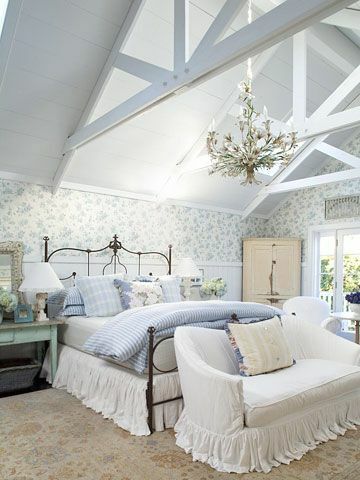 The spread of cool blues and crisp whites in this bedroom demand to be called country.